This post is sponsored by Downy. 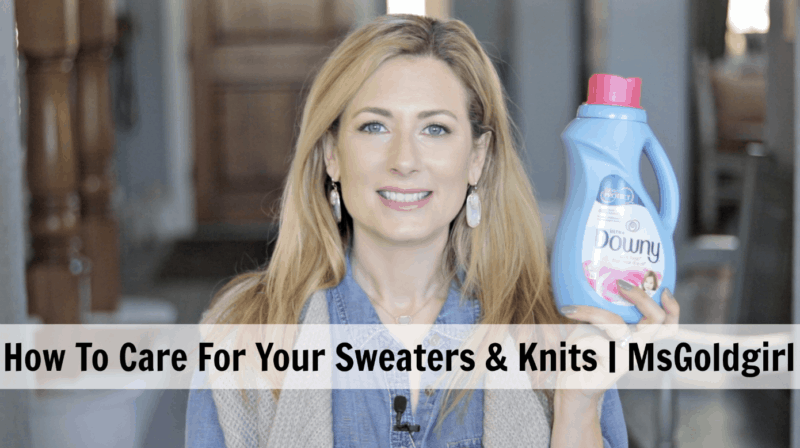 In today’s post I’ve partnered with Downy to walk you through the simple process of washing your sweaters and knits at home. I get asked all the time how I wash my favorite sweaters, like the Barefoot Dreams Cardigan that I seemingly wear EVERY SINGLE DAY. I also thought it would be nice to have a place to direct my sons when they have questions about how to wash their sweaters, so this is the perfect partnership! But before we dive into how, it’s important that we talk about why. 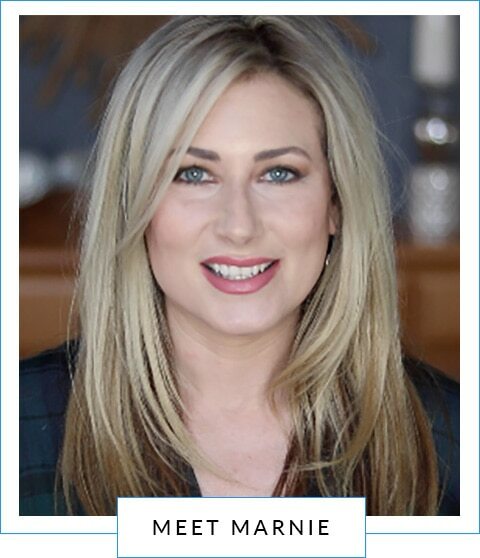 We all know how important it is to use shampoo AND conditioner when we wash our hair. Well, the same premise applies to how we wash our sweaters. 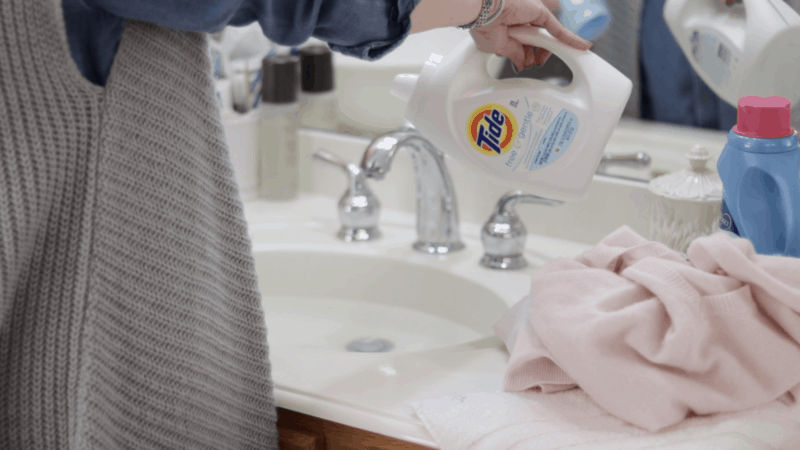 Downy Fabric Conditioner is the crucial second part of washing your sweaters-and using it helps prevent stretching, fading, and fuzzing in your sweaters. It also doesn’t hurt that it smells amazing too! Now let’s get to the fun part…washing your sweaters! 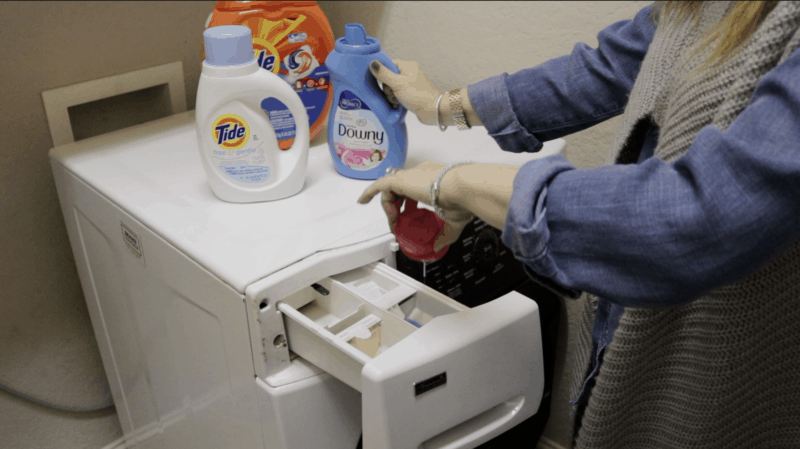 You can do this two ways-either machine washing or hand washing. Let’s start with machine washing. 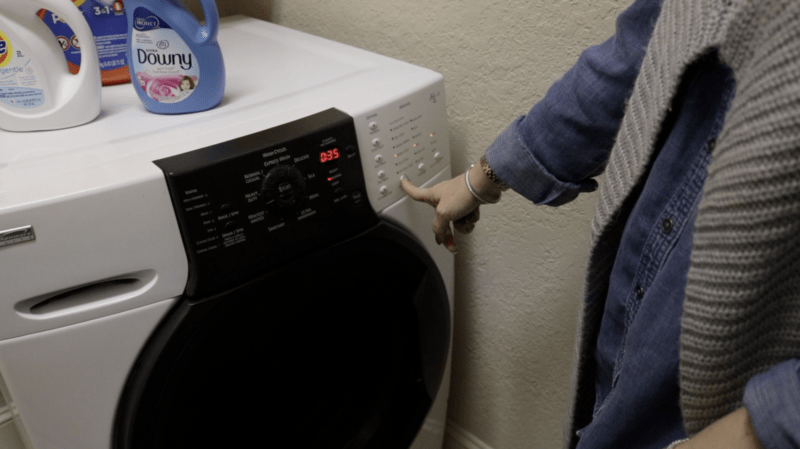 Before you do anything, make sure you read the labels on your garments and see that they’re OK for washing in the machine. Most fabrics made from natural fibers are. Also, I like to turn my clothes inside out, and be sure to fasten any buttons and zip up any zippers before putting them in the machine. Everyone’s machine is different, but be sure to choose some version of the GENTLE cycle. My washing machine has a Delicate, Silk, Wool, and even and Ultra Handwash setting but I usually choose the Delicate setting. If your clothing is particularly delicate or has a lot of beading, you might want to consider putting it in a mesh bag in order to minimize rubbing against other fabrics in the wash. I also use a mesh bag to wash my bras and other small delicates. 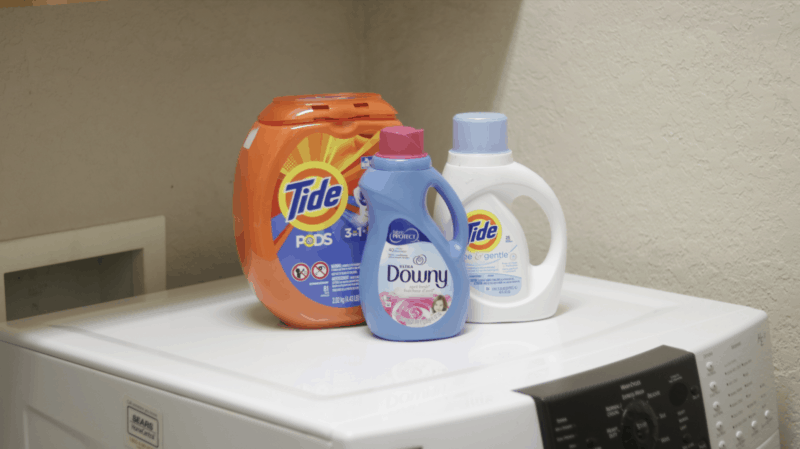 Add your detergent of choice (mine is Tide Pods in the washing machine–they totally changed my life!!) and if your machine allows, add the Downy Fabric Conditioner as well. My machine has a separate compartment for Fabric Conditioner, while in others you have to add it in the rinse cycle. After that, I just hit start and let the machine do the work!! Some people are comfortable drying their sweaters in the dryer, but I generally lie mine flat in my bathtub! I’m not blessed with a particularly large laundry room and that way my clothes can lay flat and not get trampled on by my dogs! Fill your sink with cool water and add a small amount of delicate friendly detergent (Tide Free & Gentle in my case). Submerge your clothing in the water and let it soak for 15 minutes. Remove the garment (do not wring or twist it), drain the sink and refill it with a fresh batch of cool water. Add a small amount of Downy Fabric Conditioner. Put the garment back in the water and agitate it in the sink for about 3-5 minutes. Drain the sink and rinse the garment thoroughly in cool water. Remove excess water by placing the garment flat on a clean towel and then rolling the towel with the garment inside. You can do this a few times until the excess water is removed. It’s also a great stress reliever! Finish up the same way you did with machine washing by allowing the garment to dry laying flat. I’ve been using my bathtub to do this, but I found these great drying racks that are stackable that are wonderful for those of us who don’t have a whole room to dedicate to doing laundry! If you have further questions about how to use Downy Fabric Conditioner, please do have a visit to their website at www.downy.com.